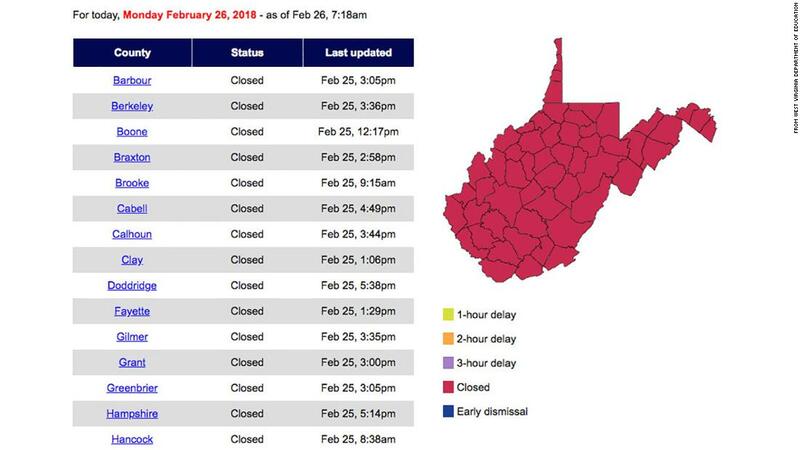 AZUZ: Every public school in the American state of West Virginia has been closed for the past three days while teachers and other school employees are on strike. They're calling for higher wages and better health care benefits. In 2017, West Virginia ranked 48 out of the 50 states in average teacher salary. Governor Jim Justice signed legislation last week that gives educators a 2 percent pay raise starting this summer and increases 1 percent next year and the year after. But teachers there have other concerns about health insurance and taxes that the law doesn't address. Governor Justice says he hasn't forgotten teachers, but that they should be back in the classroom. And some state lawmakers agree. While the strike goes on, churches and community centers have programs for students so working parents don't have to stay home. And teachers and food pantries are sending extra meals to students who normally get them at school. There are almost 20,000 teachers and more than 277,000 students enrolled in West Virginia's public schools.